Congratulations on your SC award! Beautiful Simplicity, dead on composition and detail and of course simplicity. Well deserved choice. You are so very kind to make such nice comments, thank you. I am pleased to meet you too. I'm flattered with all of your kind comments. Thank you for the time you spent looking at my portfolio. I am gratefull to this picture because it has given to me the chance of admiring your home with so many excellent images hanging on the walls. There also many beautifull flowers that are my possion. I am pleased tu meet you. Excellent shot in all ways. This one makes me green!! 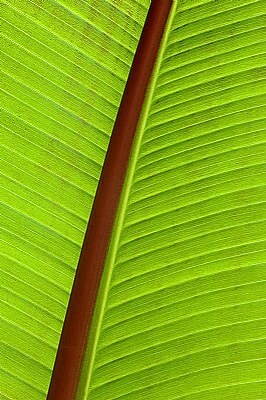 I applaud the minimalist approach that highlights both the natural form of the leaf and the natural colors. It appears backlit, but the reddish stem is well exposed as well. Not surprised at all how you managed this so well. I love it. And congrats on the SC! Nice one John!! Well done! !